Greenspan wrote rudimentary programs on a punch a card. This form of programming predates computers. This recording medium allowed one to code the notes to a song on a cylinder, and music would play as the cylinder revolved. This was the forerunner to punch cards used in early computers to input data and run a rudimentary program. This idea of a punch system was widely used throughout the 20th century for controlling textile looms during the Industrial Revolution. 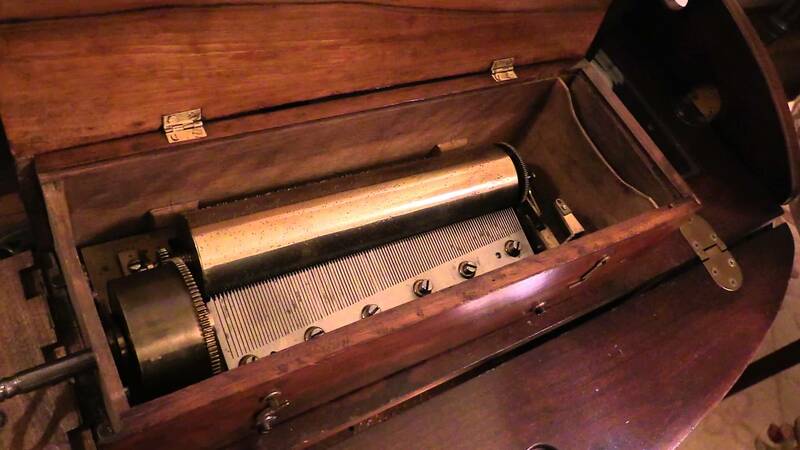 However, the idea first emerged during the 1700s with a musical snuffbox called carillons à musique. By the late 19th and early 20th century, this system controlled fairground organs and related instruments. Punched cards were used through most of the 20th century in what became known as the data processing industry – the use of unit recording machines organized into data processing systems for data input, processing, and storage. This was the logical extension from its use in music and in repetitive machines during the Industrial Revolution. Early digital computers employed punched cards that were prepared using keypunch machines as the primary input medium for both computer programs and data. This by no means says that he invented BASIC programming. That would be akin to someone saying that because they wrote a book they invented a language. Creating any high level language above machine code is a completely different animal from writing a program. Programmers know how to program in many languages, but that does not qualify them to write a new language with a compiler to translate their language into machine code. That is a whole different skill set and Greenspan never trained in such a field. I was called upon after the collapse of the first bank following the birth of the Floating Exchange Rate System – Franklin National Bank. There was no one trained in such markets; I was called in because they thought it might have had something to do with currency. I was by far the first to explore computer programs for financial markets. The bankers did not even contemplate such programs until the 1980s since they were not the traders of today. PhiBro took over Solomon Brothers in 1981, and Goldman Sachs bought J. Aaron thereafter. We were the only firm using computers – period. Following our lead, in the mid-1980s they began to hire people with backgrounds in physics. By the 1987 Crash, everyone was blaming computers, and I was lobbied to become involved. What Greenspan wrote illustrates his lack of knowledge of the field, not his expertise. “It’s never entered my mind that such programs, extensively patched, might still be in use at the end of the century.” Extensively patched is an understatement. Writing sophisticated programs today is nothing like the punch card world of yester-year. I fail to grasp why people need such elaborate conspiracy theories to try to devise schemes that are predetermined to rule the world. Nobody is in charge; this is totally out of control to the point that even the so-called elites are at the mercy of the markets. There is no group of financial gods. If that were true, I would not get a call when they are in trouble. There is no individual or group capable of steering this ship through the turbulent political crisis we face. I know what is coming, yet I cannot stop it. We face accumulative mismanagement since the formation of Bretton Woods back in 1944 because even then no one truly understood money. Keynes lamented before he died that he spent his entire life trying to prove Adam Smith’s Invisible Hand wrong, and he hoped that would save Britain in the end. This is not some devised plot against society, rather this is the typical mess created by clueless people trying to rule the world. Just look at Europe. Politicians will try their best to FORCE their ideas upon Europe, and will not change course for they will never admit error. The same thinking process that created the problem will never result in a solution. This is just the way it is. Would-be rulers of the world act ONLY in their own self-interest – never for society. They ignore the trend against them, assuming they possess the power of titans. This is why no civilization has ever survived; they all crash and burn. This is not a Miss America contest where everyone wishes for world peace. This is down and dirty in the gutter politics and you are always the target of their quest for power. If these would-be rulers of the world were truly in control, they would NEVER allow the system to go against them as it is doing right now.